Imagine controlling a machine with your mind. Imagine a communication line direct from your mind to someone else's. Imagine controlling a prosthetic limb with a thought or "seeing" through a camera located miles away. Once the stuff of science fiction, such remarkable feats are now within the grasp of neuroscience. Malcolm Gay tells the fascinating stories of the researchers delving into the intricate workings of the brain to map the neural signals that make up our thoughts, of the group of brave, vulnerable patient-volunteers participating in these groundbreaking experiments, and of the developing technologies that will not only improve lives but potentially revolutionise human capabilities. The Brain Electric asks us to rethink our relationship with technology, our bodies, even consciousness itself - challenging our assumptions about what it means to be human. Award-winning journalist Malcolm Gay is an arts reporter for the Boston Globe. His writing and essays have also appeared in the New York Times and the Atlantic and on time.com, among others. He was named an Alicia Patterson Fellow in 2013 and received top honours from the James Beard Foundation, the Association of Alternative Newsweeklies and the National Association of Black Journalists. 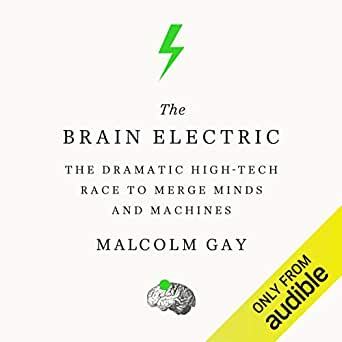 The Brain Electric is his first book.